OK, so you like some of my gear, but you also like a bargain. Me too. Maybe this deal is for you! Your 2019 season on trail is fast approaching . . . Are you ready? Imagine using free twig fuel that's easily available just about everywhere with no weight penalty. To entice you to expand your cooking repertoire, both my regular and XL FireFly woodburners are more than 10% off their regular prices. Yes, you read that right, a big discount - Time to Go Wild! 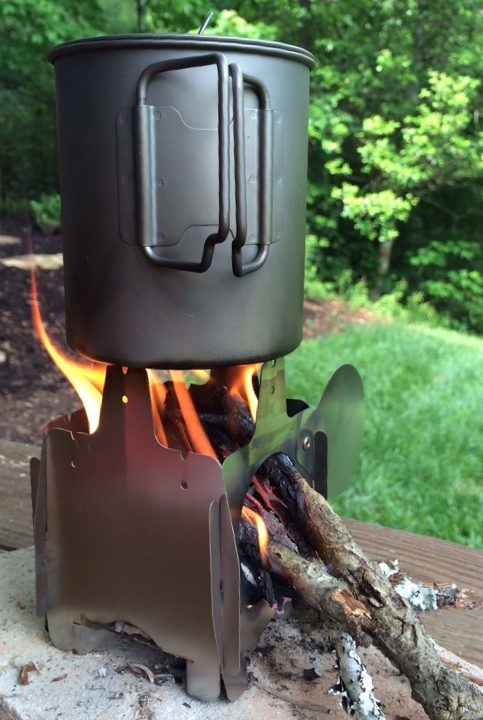 Here's what's on sale: You can get a 2.8 ounce FireFly (with FlexPort) or a 5.8 ounce FireFly XL titanium ultralight woodburning stove. Or get both! Links at the left will take you to full descriptions if not familiar with these items. You can see about any stove accessories you might want to add to your order on those pages as well. Be the envy of everyone on the trail. For information on when you can expect to receive gear you order, check my Shipping Status. USA shipping included; see link at left for international shipping.